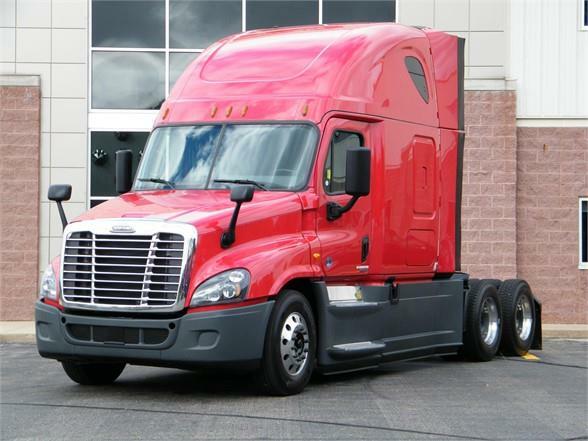 2017 Freightliner Cascadia-Detroit DD15 455HP, DT12 Auto transmission, two beds, air slide fifth wheel, pw, ac, cruise, tilt & tele steering, dual 100 gallon fuel tanks, double high back air ride seats. We will include for FREE a 60 days buyers assurance policy plus a FREE 1yr/100K miles engine, transmission and rear diff warranty. We will also have the truck ready for you with a fresh detail, service and DOT inspection.